Clarifying Charcoal Mask is rated 4.7 out of 5 by 18. Vichy's first face mask formulated with Natural Origin Charcoal, Kaolin, and Vichy 15 Mineral-Rich Thermal Water to remove impurities such as pollution and dirt. 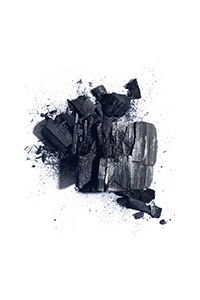 Our first face mask formulated with Natural Origin Charcoal, Kaolin, and Vichy 15 Mineral-Rich Thermal Water. The Clarifying Charcoal Mask acts as a magnet, extracting dirt and toxins from the skin's surface and reduce the look of pores. Leaves skin feeling clear, clean, and hydrated. Rejuvenates skin affected by daily urban aggressors. Use face mask alone or for multi-masking. Acts as a magnet and extracts dirt and toxins from pollution to the surface of the skin and then absorbs and removes them. 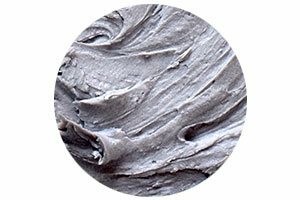 A volcanic earth clay which has absorbing and soothing properties. Skin exposed to daily urban aggressors like pollution and dirt. Vichy Clarifying Charcoal Mask is a quick, 5-minute face mask that provides clear, clean skin and removes impurities. Formulated with Vichy Mineralizing Water, Natural Origin Charcoal, and Kaolin, this clarifying mask extracts dirt and toxins from the skin's surface and reduces the look of pores. Luxurious, silky texture with a pleasant, delicate fragrance. The Clarifying Charcoal Mask is a quick, five-minute solution for clear, clean, and hydrated skin. Immediately skin feels rejuvenated after impurities such as pollution and dirt are removed. The look of pores are visibly reduced. In 4 weeks: 89% of agreed that skin feels clean and clear. 85% agreed that skin feels healthier. 82% agree that this product removes impurities. *Study on 88 women aged from 18 to 65, twice weekly over 28 days. Use the face mask alone for clear, clean skin or combine it with other masks for multi-masking to target different skin needs in different zones. Why Vichy's Clarifying Charcoal Mask? 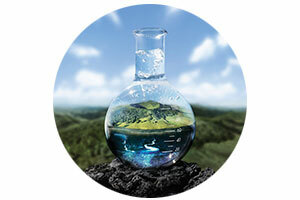 "Did you know that 80% of skin aging is caused by environmental aggressors, like pollution? Vichy's new Clarifying Charcoal Mask is formulated with Natural Origin Charcoal + Kaolin + Vichy's exclusive 15 mineral-rich Thermal Water, clinically proven to fortify and protect skin from daily aggressors. This 5 minute mask acts as a magnet to effectively extract dirt and toxins from the skin's surface. I recommend this paraben-free mask for all skin types, even the most sensitive. Unlike some charcoal masks that can dry out your skin, this mask leaves it feeling smooth and hydrated." Mineral vs. Antioxidant Skin Care: What Minerals Are Good For Your Skin? Mineral and antioxidant skin care are great additions to any skin care routine to keep skin healthy and hydrated. Rated 5 out of 5 by Rafaela from Clean Skin I am very happy with the instant results I get from this mask. My skin feels clean and treated. Rated 5 out of 5 by Natti from Best of the Best! My favorite face mask! Works good and has a good effect. Rated 5 out of 5 by Vball8 from The only mask I use now I’ve been using this product for a while and I must say that ever since I started using it I have noticed a major difference! My skin feels better and my pores look smaller. This product works great with other Vichy masks if you wish to do a hybrid mask. Rated 5 out of 5 by Mata from Very smooth texture I love the feel of this mask. It has very smooth texture and surprisingly nice scent. I really like it only needs 5 minutes. After application my face is smooth and not dry. Rated 5 out of 5 by jasminev7aa8 from I have tried all kinds of charcoal and I love this one! I use this product whenever I see a breakout starting to form and it takes EVERYTHING away! Except my pimples that already came out but it speeds up their cycle so they disappear quickly this is such an amazing product that I've been looking for for a long time. it also tightens! It is powerful yet gentle on my skin! Rated 5 out of 5 by mggc6a4 from Absolutely LOVE this charcoal mask. It's perfect for my combination skin and I enjoyed the smell of it. Made my skin feel flawless.